According to the latest Census, illegal immigration has exploded 57 percent in less than two years, with at least 550,000 new undocumented aliens pouring into America in a trend that is set to continue growing. In an analysis of the numbers, the Center for Immigration Studies found illegal and legal immigration have reached over 1.5 million a year, a new 15 year high, and a 39 percent increase over 2013. 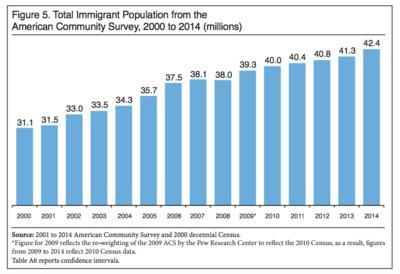 Since 2014, 3.1 million new immigrants (legal and illegal) have settled in the United States. You don’t need to look farther than Nashville, TN to gain an understanding of the enormous consequences that this census data provides. According to the Tennessean, over 120 languages are spoken in the Nashville Metro school system alone. One third of the 85,000 student population does not speak English as their first language and of those students, half require special services. The majority of Nashville students learning English speak Spanish at home and Arabic speakers comprise the largest second group. Additional data shows the number of Metro students requiring special services to learn English has dramatically risen from 8,751 in the 2011-12 school year to 12,329 in 2015-16. 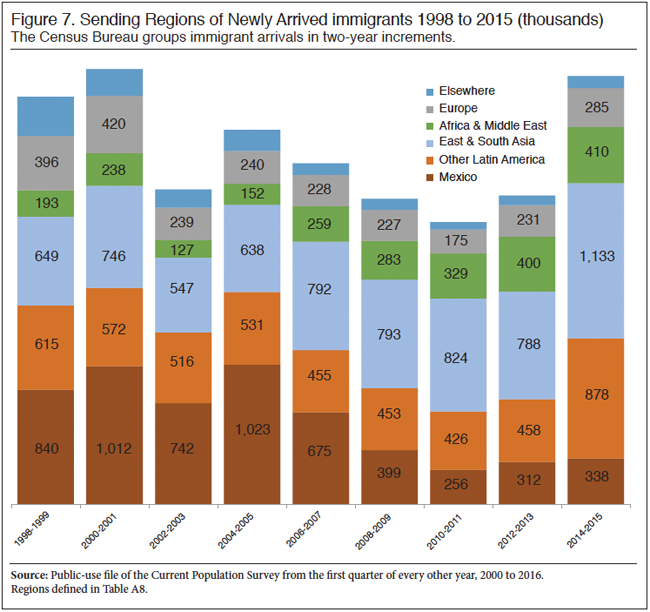 Yet, these numbers should not only raise profound questions about assimilation and the local, economic impacts of uncontrolled immigration, these numbers should raise profound questions on the impacts to our health and to our safety. There are deadly health risks associated with the bacterial, viral and fungal diseases that are prevalent in these refugee/immigrant populations–diseases that were once rare or eradicated in the US. For the first time in nearly three decades, Tuberculosis cases have spiked in the US and TB has now surpassed AIDS as the leading cause of death world wide. According to the CDC, tuberculosis, prevalent in only 4% of the US population, is making a deadly encore in states across the US. Over 50 percent of the active TB cases in the US are found in just four states that also have the highest number of foreign-born people – New York, Florida, California and Texas. 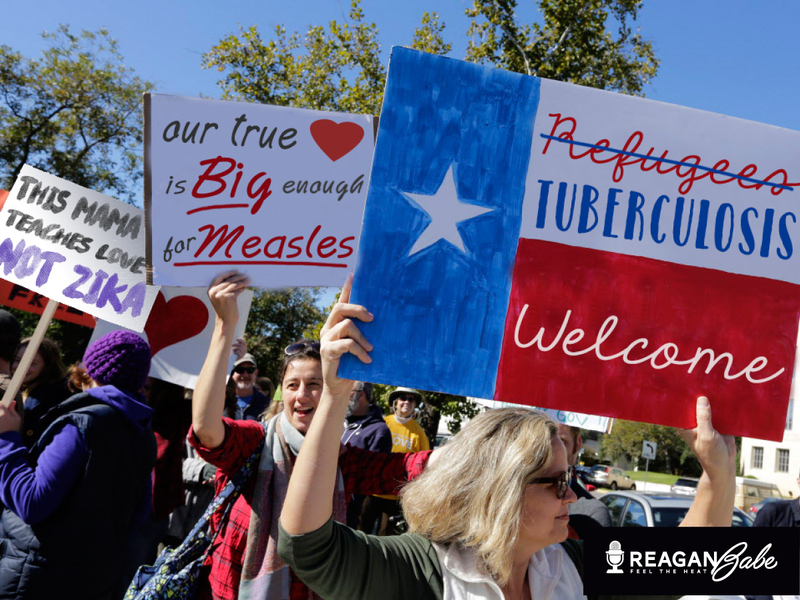 However, in Minnesota, it’s reported that 22% of resettled refugees have tuberculosis and Indiana is also reporting a rise in TB cases across campuses and communities. Given the stigmatization of TB, our ability to do targeted interactions is limited. We’ve got to find a non pejorative way to do it so others don’t perceive discrimination. In 2014, the CDC warned its’ internal employees about the rapid rise in tuberculosis and other diseases at the refugee detention centers, but did not share this warning or related information with the general public. We might as well plan on many of the kids having TB…Most of these kids are not immunized, so we need to make sure all our staff are immunized. Tuberculosis for thee and not for me. Frightening. Immigrants and refugees are screened for active TB and treated before entering the United States. However, tourists, students and temporary workers are not screened. The CDC does not recommend across-the-board screening for everyone entering the United States nor does the CDC test for latent Tuberculosis (LTBI). About 90% of people who get infected with TB develop a latent TB infection, which means the infecting bacteria are alive in the body, but inactive. People who have latent infections do not have TB symptoms and cannot spread the infection to others, but they are at risk of developing an active infection that is both symptomatic and contagious. About 3% to 5% of latent TB become active TB in the first year, and about 5-15% in following years. In Indiana, only 77 percent of the 1,885 refugees resettled in Indiana in 2015 completed post-arrival medical screenings. Among those screened, four cases of active TB were detected. There is no medical data on the other 23 percent of refugees who did not complete post-arrival medical screenings. Overall, 26 percent, 394 in total, tested positive for latent TB and who will have a 5-15% chance of contracting active tuberculosis. TB responsive to first line Rx: cost per patient: $17,000 over 6-9 months to treat. MDR-TB: cost per patient: $134,000, takes 20-26 months to treat. Extreme MDR-TB: cost per patient: $430,000, takes 32-36 months to treat. Further explosion in the already staggering level of federal debt, plus dramatic rise in state and municipal debt to cover exploding medical costs. A crisis imposed on our medical system to care for the influx of infectious disease patients, at a time of hospitals closing and doctors going out of business due to the adverse impact of Obamacare. These new demands could lead to a collapse of our healthcare system that will jeopardize medical care for millions of Americans. Open and porous borders will fundamentally transform our country into a third world petri dish and these new Democrat “refugees” will be treated and cared for with the help of our tax dollars. This week, our tax dollars are treating the first Zika baby born to a Honduran mother in a NJ hospital and an outbreak of measles at an Arizona immigrant detention center may have affected a high school graduation, a church, a casino, and 14 other public areas. At this time, a politically-correct statement from the CDC regarding these foreign-born diseases has not been released. But if the past is a predicate, we can assume the CDC has no idea as to the root cause of these viral and deadly outbreaks. Yet, from their internal memoranda, only uncovered in a Judicial Watch lawsuit, the CDC has always known the root cause, were properly immunized, and chose a politically correct response to a potential crisis–leaving the rest of the American people vulnerable and susceptible to the viral and deadly diseases from unabated legal and illegal immigration. This is what we know, think about all that we still have to learn. My kid’s pediatrician has been hypersensitive when I bring the kids in with routine illnesses. He sends everything to the lab to be tested, something he only started doing in the past year or so. When I questioned him about it he told me if I saw the CDC and local alerts he’s been receiving, I’d understand. I already know for a fact that rare strains of HF&M and whooping cough (even infecting immunized kids) has been going around in our area. BTW, we live in Texas.